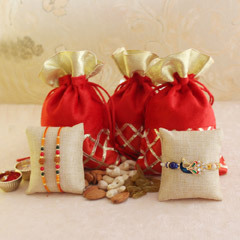 Let your Raksha Bandhan speak your heart and let your brother know that how much you love him. 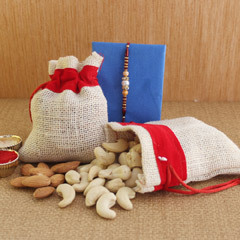 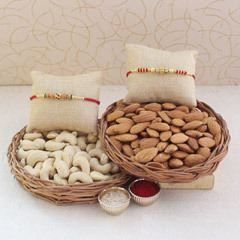 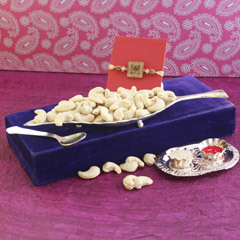 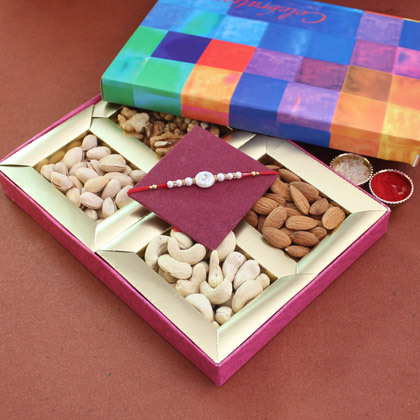 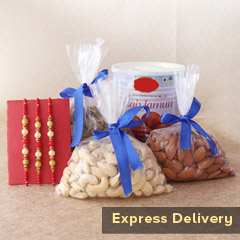 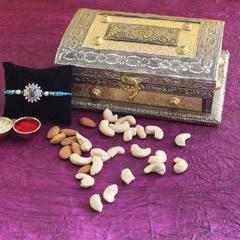 Just make choice for this wonderful Rakhi with Dry fruits gift combo that will help you win his heart. 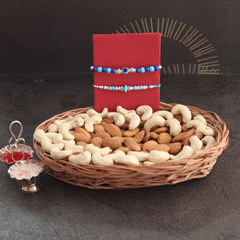 No wonder, he will love relishing all the varying dryfruits of the gift combo and will turn healthy because of your little effort of gifting it to him. 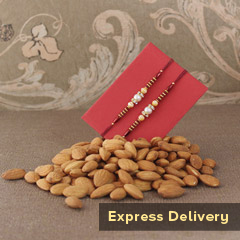 So, hurry now to order it right here!